DivX package for Windows includes utilities, and documentation that you need to play DivX files, the DivX Pro Codec, DivX Player, DivX Web Player and the DivX Converter, providing all you need to create, play, manage and burn DivX videos. The most advanced version of DivX® video compression technology, the DivX codec includes a suite of powerful encoding tools enabling the highest levels of visual quality, compression and control. DivX Pro plugs into your video software to produce high-quality movies (at one-tenth the size of a DVD) for viewing on your PC or, with DivX® Certified DVD players, right on your TV. DivX for Windows is the DivX Codec an advanced digital video codec (coder/decoder) that plugs into popular video software applications. This codec can reduce an MPEG-2 video (DVD format) to ten percent of its original size. DivX is a digital video compression technology based on the ISO MPEG-4 standard. When used in combination with your existing video software, DivX Pro allows you to create and play high-quality DivX videos and provides playback support for interactive video menus, subtitles, alternate audio tracks and more. DivX technology can compress digital videos 5 to 10 times more than the MPEG-2/DVD format and hundreds of times over raw digital video. 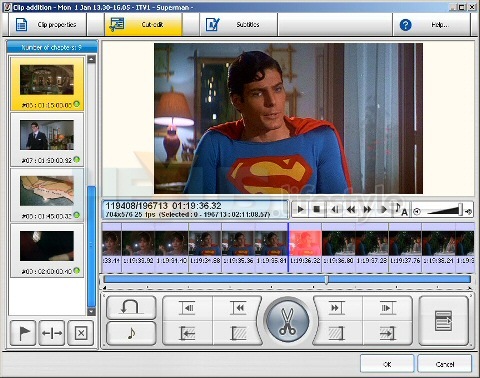 The DivX Converter will allow users to easily convert videos to DivX in one easy step. Simply drag videos onto the DivX Converter and click 'convert.' Videos created with the DivX Converter will play back on millions of certified devices. The DivX Player lets you play all DivX videos. This includes every version of DivX video; even purchased or rented DivX movies, DivX HD files, and videos created with advanced features such as menus, subtitles and more. The DivX Player for Windows also lets you create playlists, manage video collections, burn discs and activate DivX certified devices. The DivX Web Player is a versatile utility that allows you to watch DivX videos from within your web browser and embed DivX videos directly on to a web page or social networking profile.